It is with great pleasure that the Committee announces the appointment of Scott Girvan to our professional team. Scott commenced work this week, so please introduce yourself to him when you are next in the Club. He’s a bright and friendly addition to the team with strong background in tennis. He has played high level tennis (grade 4) for Knox, coached for 5 years and worked for the Australian Open managing a team of ball kids. Frank and Jonners are very impressed with his natural ball skills and believe he will be able to develop into a very competitive player in the future. He’s a natural competitor and eager to learn. Like John Woods-Casey, Scott is in his mid-twenties and together they will be able to develop their game under the tutelage of our senior pro-team of Frank, Jonners and Kate. Having some great senior teaching pros in the Club, the Committee considers this a perfect time to invest in bringing more youth into the professional ranks of real tennis. RMTC and the other Australian Clubs have been a great source of real tennis professionals and we intend to continue this role. Hobart is currently searching for an assistant professional (please contact Christine Stirling – President HRTC – if you know of any talent for this role). This is great news as it will provide more opportunities for our young pros to develop together and help generate more interest in the game amongst younger members. It would be lovely to see Scott follow in the footsteps of many of our Aussie pros. As an example, years ago a youthful Andrew Fowler from Ballarat joined our professional ranks. We now welcome Andrew back this week to Australia having taken up the role of head professional at Ballarat Tennis Club. There is a dinner in Ballarat this weekend to welcome him back – see pro-shop for details. 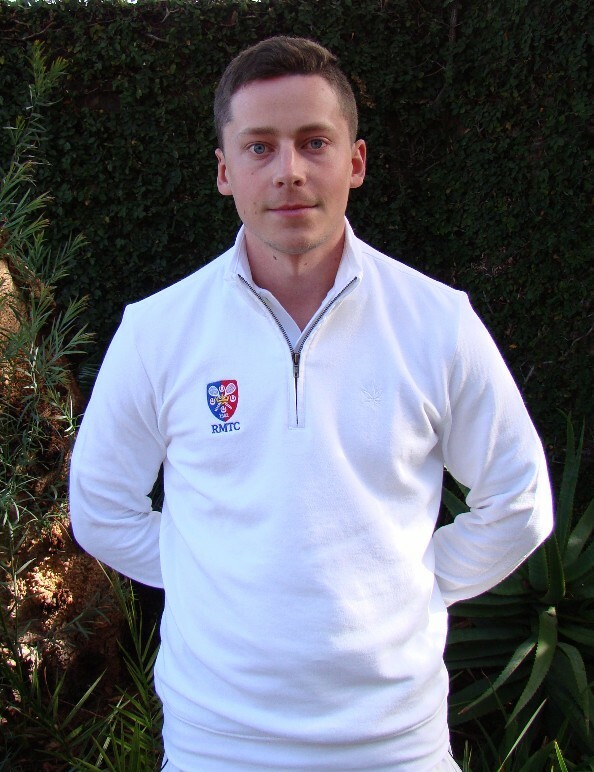 Scott, we welcome you to RMTC and wish you a successful and enjoyable career in real tennis. The premier event in Victorian tennis is coming up at the end of the month. There will be graded events run along side the Open for players under 30 handicap. With the end of financial year shenanigans and insanity is over the time has come to be thinking about tennis in the second half of the year. Finals day is now fast approaching and there are only two chances to book your spot in the Medal of Medallists draw left. Give us a ring or come into the club to get your name on the list. 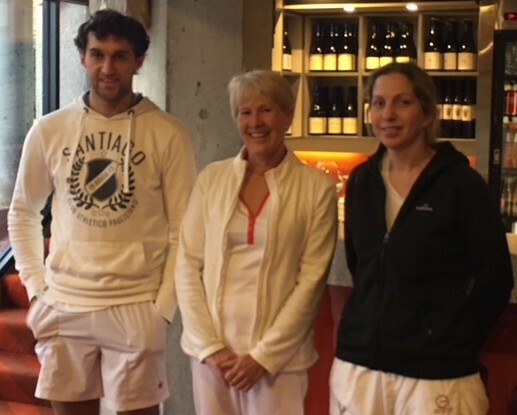 Ten brave pairs turned up to weather the wintry conditions on court at the RMTC on Sunday 16th July to play the Christmas in July Mixed Doubles – and believe me it felt every bit as cold as a winter’s day in England! Christmas spirit abounded though with Christmas music and a wonderful roast lunch with all the trimmings, cooked by Lisa and followed by, of course, the traditional plum pudding. The tennis soon warmed us up and a fantastic day was had by all. It was great to see a few new faces and for some the stress of scoring was more of a challenge than the stress of playing! 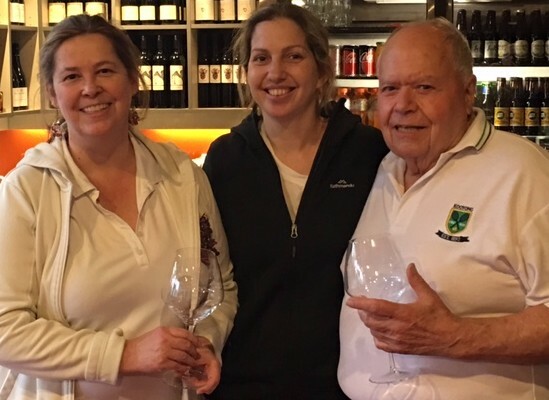 Marissa Barter-Waters and John Link only lost one match all day (and that by only one game) and had a resounding victory over runners up Dominic Emery and Judy Collins to win 6 games to 1 in the Final. Congratulations too to the semi-finalists, Fiona Hewson and Charlie Wright and to Geoff and Annie Dempster, who all played some great tennis. Many thanks to Fiona Hewson for all her hard work and the successful organisation of such an enjoyable day. If you’re like most people in winter, you’re feeling less motivated than normal. Fitness regimes can seem stale & performance can be affected. If you’d like to enhance your time on the court or revamp your health generally, now is the perfect time. With spring just 6 weeks away, it’s a great opportunity to re-energize yourself & start preparing your body for the warmer months. A few spots have just opened up over the winter months which I’d like to first offer to RMTC members. As RMTC’s own FMS practitioner/strength & conditioning coach/fitness trainer I offer a range of services for you to utilize. Back to school means back in town, come back to the tennis club and reclaim your courts. Come in and have a hit to lighten the load or improve your game with a lesson with either Jonners on Saturday or Kate on Sunday. Have a look online or give us a ring in the pro shop.